When you talk about the best of anything, usually you have a specific purpose or criteria in mind for its usage. You pay attention and research its ability to satisfy that particular need or use. Ammunition selection is a complicated topic, with many different rabbit holes we could go down as we decide what’s best for specific purposes… barrel length, action type, etc. 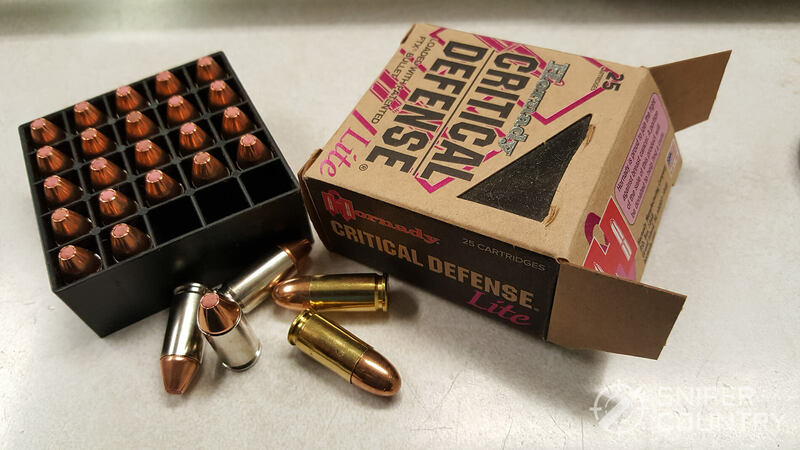 We will concentrate, in this article, on 9mm ammo meant to be used for target/practice/competition or self-defense purposes that you can buy online. For the sake of simplicity, I’ll stay with luckygunner.com – I’ve found they have some of the best prices and are attentive to details. You will have your own favorite vendor for your ammo, of course…I’m just narrowing it down for our purposes without chasing prices all over the internet. They sell 219 different brands/types of 9mm ammo. Before we begin in earnest, let’s look at some cartridge basics so we’re all on the same page. We’ll look at bullets, cartridges and other factors that impact a round’s effectiveness. Hopefully, we all know what a bullet is – that’s the projectile that exits the barrel (at least that’s the plan). A bullet is just that – it is not the cartridge case. Not to sound snobby, but nothing announces a newbie like the statement “I just bought a box of bullets”, when they mean cartridges. Why am I so picky? I’m a reloader – if I buy a box of bullets, that’s what they are – bullets. If I buy a box of loaded cartridges, then that’s what they are – not just bullets, but loaded ammo. Again, I’m not meaning to bust anybody’s chops or appear uppity – it’s just a matter of semantics, saying what we mean. Another reason to keep the two straight is that if you ask for a box of “9mm bullets” at some shops when you mean loaded cartridges, the person behind the counter might hand you a box of 100 Hornady XTP 124-grain bullets for reloading, not loaded ammo. So, here we’re going to be talking about loaded ammo, 9mm cartridges. But before we get to that, let’s look at some specific bullet types. 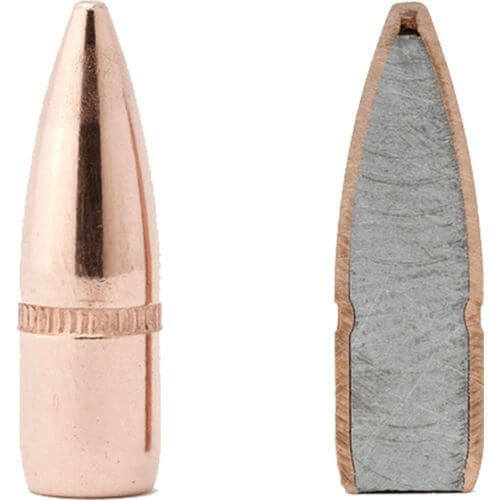 FMJ (Full-Metal Jacket) – this bullet is covered totally in a copper “jacket”, which just means the entire bullet is encased in a metal covering. Sometimes, the bullet base is left exposed in order to cut manufacturing costs a bit. The important point is that only copper touches the barrel’s rifling, unlike a cast lead bullet that has no metal coating. Some pistol makers specify that only copper-jacketed bullets are to be used in their guns, with no lead bullets allowed according to warranty (most notable manufacturer to do this is Glock). Another name that manufacturers may use to describe this bullet is “metal case”, so if you see that term, you should know they’re talking about FMJ bullets. FMJ bullets are typically used in practice, competition or lesser-expensive ammo in order to save costs. 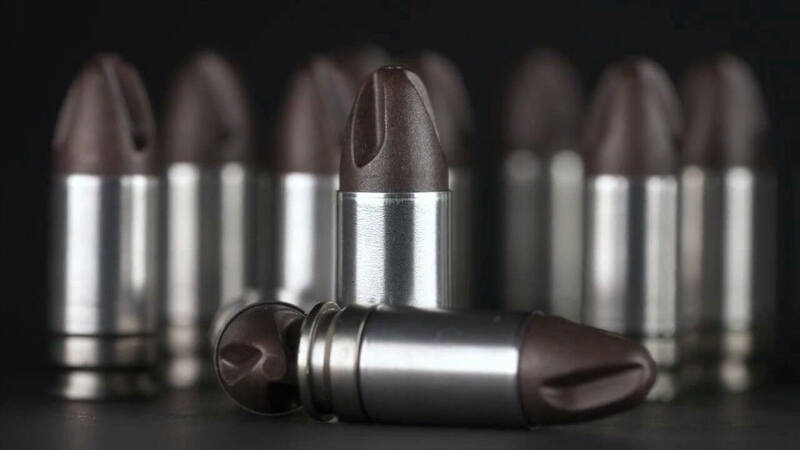 In ascending order from cheaper to more expensive, you usually will have the following types of bullets: lead (cast or swaged) non-jacketed bullets, then FMJ or coated bullets and finally the JHP or more exotic bullet types. FMJ and JHP bullet-loaded ammo is often offered in bulk packs of 500 or more. JHP (Jacketed Hollow Point) – this bullet consists of a lead or other core covered by a copper jacket with a carefully-engineered-and-tested opening in the bullet’s exposed, soft nose. There are many different types and brands of JHP cartridges, but to keep it simple, we’ll just say that the opening is there to enhance expansion once the bullet hits the target by causing the bullet nose to upset and split the jacket into what can be described as “flower petals” designed to increase the bullet’s diameter in the target. This is intended to increase the bullet’s ability to incapacitate a hostile target by opening a larger wound channel. We’ll look at some specific examples later. Another variation on the cross-tip theme is the Novx Extreme Self-Defense ammo that uses what the company calls a poly-copper matrix bullet in a spiral cross pattern. This light-for-caliber solid bullet is designed, as is the Lehigh projectile, to penetrate deeply and cause massive damage. Being about half the weight of a typical 124-grain 9mm bullet, it can be pushed to amazing velocities out of a short pistol barrel which aids penetration. As an aside, Ruger is having this ammo produced under its banner – evidently they believe in its effectiveness. As partially explained above, a cartridge consists of a case, a bullet, some powder and a primer. 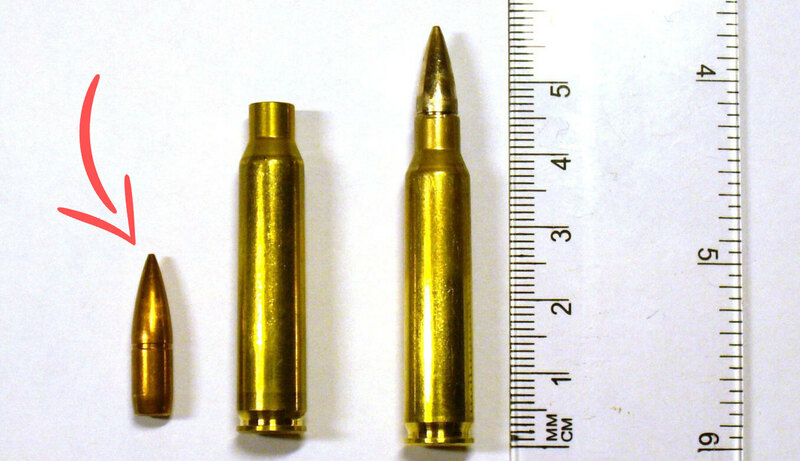 Cartridges for the 9mm are usually sold in boxes of 20 (higher-end self-defense ammo), 50 or 100 (target or practice ammo) and 500 or more (could be either type). Another word for cartridge comes from the military – round. One cartridge is the same as one round. BONUS: This image is from our Handgun Caliber Guide. I highly recommend reading it, if you want to learn more about pistol and revolver cartridges. How do these things factor into our decision as to what ammo to buy? Barrel length can be the most influential factor of the three. Some ammo is designed to perform well in service-length-barreled guns, while other rounds are designed to be shot from short-barreled pistols. Climate has a hand in what ammo we buy. If you live in an area where shorts and T-shirts are pretty much worn year-round, you can get by with bullets that may not penetrate as far as some other types of ammo but may expand more violently. Conversely, if you are having to defend yourself in a cold climate where the bullet must get through a heavy coat or more, penetration becomes the deciding factor in what you buy. (I’ve known people who will only carry full-metal-jacketed bullets in winter here in the Midwest, where there’s snow on the ground as I type. They figure that all the expansion in the world means nothing if the bullet doesn’t get into the “boiler room”). I’ll expand on this a little further in the “Factors” section below. Bullet weight plays a part in decisions as to which box of ammo you buy. Common 9mm bullet weights normally available at most stores are 115, 124 and 147 grain. The 115 grain loads tend to be higher velocity and the 147s somewhat slower, even subsonic. A good compromise is the 124-grain bullet, which is sometimes used in general-purpose defense loads. As with the climate comparison, you have a choice of going with zippier speed/great expansion or slower/better penetration. These are generalities, of course – exceptions abound in the real world. I’ve mentioned penetration and expansion – what am I talking about, specifically? Let’s loosely define the terms as they relate to ammunition. Penetration is defined as piercing or passing through something. In the 9mm’s case, a FMJ bullet will typically penetrate over a foot in ballistic gel. Some rounds excel in penetration – in fact, they penetrate too well. One concern is that a bullet will pass through its intended target and injure an innocent bystander beyond the target. Expansion in relation to a handgun bullet is its ability to enter a target and end up at the end of its journey with a larger diameter than when it went in. The bullet designed for expansion is usually a JHP, where there is a jacketed bullet body with a soft, sometimes exposed, lead or polymer tip. There are many different types of expanding bullets: bullets that exhibit controlled expansion and generally do not expand to their fullest-possible diameter; bullets that expand violently to maximum diameter in a target; flex-tip bullets that initiate expansion by the use of a polymer “plug” in the bullet nose that forces the soft lead tip to widen. These are but a few of the different types of expanding bullets 9mm shooters have available to them. Momentum, in ballistic terms, is bullet weight multiplied by its velocity. In practical terms, it simply means the energy released by the bullet and its ability to move a weight – say, a steel target. Notice it does not equal energy released – there are bullet energy calculators that will tell you, once given a bullet’s weight and velocity, how many foot-pounds of energy is released. The energy figure is usually more interesting than momentum in terms of what happens on the terminal end of the bullet’s flight. Kinetic Energy is easily figured out with a knowledge of the bullet’s weight and its velocity. You can figure energy by using this formula: velocity in fps squared x grains of bullet weight / 450,436. So, as an example, a bullet weighing 115 grains at a velocity of 1150 fps would yield 337.6 foot-pounds of energy. Energy figures can be tricky and should not be relied on solely to determine a bullet’s effectiveness. As I say below, sometimes energy looks good on paper but does not translate well in the real world in terms of the bullets’ actual effectiveness. Muzzle energy can be misleading. Some rounds with lower “paper” energy have a better reputation on the street than some loads whose descriptions show more foot/pounds of energy. Velocity is highly variable. Depending on what gun and barrel length you are shooting, the given velocities may or may not be accurate. A general rule is that longer barrels yield higher velocities and lower barrels, lower velocities. But, as in life in general, there are exceptions. Your 3.2-inch-barreled Ruger LC9S may show higher speeds than your buddy’s Glock 19 with its 4-inch barrel. As I said, velocities are highly variable. Only your chronograph can tell you “the truth” in how fast a bullet is exiting your barrel at that particular moment; even these measurements are dependent on environmental conditions. The bottom line is that a chronograph can be your best ballistics-related friend because most all ammunition performance computations start with bullet weight and velocity – you have to know both. In the table below, the only gun that was used in any of the tests that was identified was a Glock 19 for the Winchester PDX-1 round. That tells us that the given velocity shown here for that round is out of a 4-inch barrel. Your shorter-barreled 9mm may not break 1000 fps, but it still can be an effective round. Here is a breakdown of some ballistics figures for the cartridges we’re going to look at. Notice that velocity and energy are not always related. The Winchester PDX-1 round shows more energy than the Magtech FMJ round yet has a lower velocity. We are comparing FMJ to JHP, granted, but some folks I know bet the house on velocity figures alone when it comes to buying ammo. Maybe they should look at bullet type and energy, as well. Before we look at the individual cartridges listed in the table, we need to look at factors that could have an impact (no pun intended) on penetration and energy release. 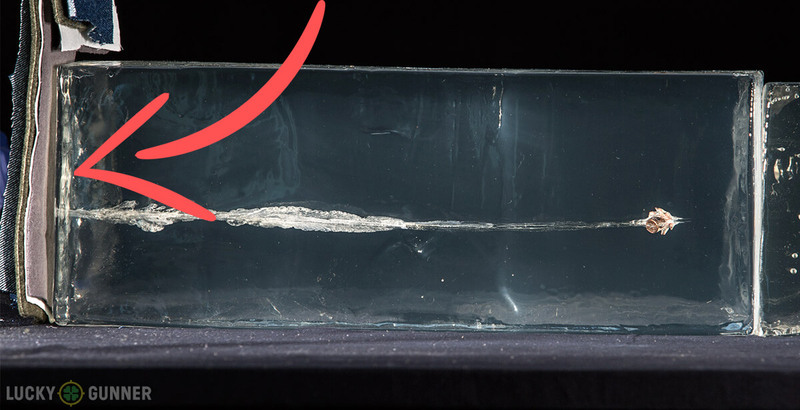 When agencies do ballistics tests using gel made for that purpose, many times they’ll put a few layers of denim or other fabric over the front of the block so the bullet must go through the layers of cloth before reaching the gel. They do this to, as closely as possible, duplicate what the bullet will have to contend with in the real world. Now, I know that no fabric-encased ballistic gel test is going to tell us exactly what would have happened if we had shot at a human being, but it’s about as close as we can get to replicating clothing/muscle/skin, etc. without actually shooting at that person. (Historical note: in 1904, the Thompson-LeGarde ballistic tests on penetration and stopping power that resulted in the adoption of the .45 ACP cartridge used actual cadavers to test penetration. We don’t do that anymore, as far as I know…). Here’s the upshot…if you live in a colder climate where people are wearing more and heavier clothing and would have to shoot to protect your life, the bullet would have to work harder getting through the clothing than if the heavy clothing was not present. This can negatively affect JHP performance. Unless you live year-round in a nudist colony, you need to take that into account as you select defensive ammo. 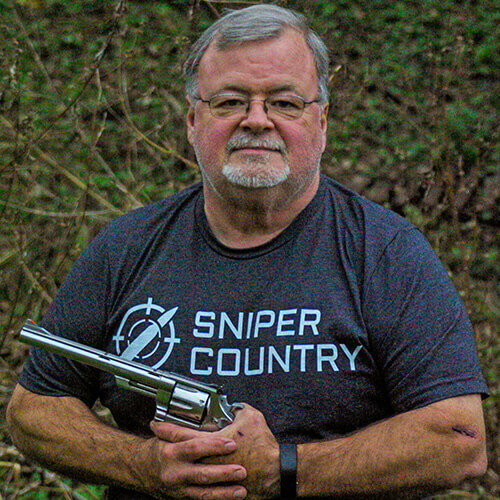 (Spoiler alert…a little further down I discuss the Federal 124-grain HST load that not only yields excellent penetration but expands with the best of them. It is used by many agencies). HST aside, you usually can’t have your cake and eat it, too…usually you settle for either a deep-penetrating round, or you find one that expands with regularity. This is one area that only you can navigate – you know what you need, and more importantly, what you may not need in terms of defensive ammo. So, what do we look for (or watch out for) when selecting ammo? Penetration, or more to the point, Over-Penetration? Over-penetration may or may not be a factor in your ammo choice. It could be a problem in an urban or home-defense setting, but in the boonies where I live, it wouldn’t be an issue. Expansion? You have to experiment with your ammo to check expansion. I have a range in my back yard, so I conceivably could line up water-filled milk jugs and blast away, but all that would tell me is how that round performs against rogue milk jugs. Even if you wanted to try it, it isn’t easily done at a range. Very possibly, you may have to take someone’s word for bullet expansion with Brand X ammo. Most of the self-defense rounds I write about here have been used by police agencies, in some cases for many years, so that’s a pretty good recommendation on its own. Now that we have the ballistic and bullet performance basics down, let’s examine a couple of types of ammo that are available online. There are two basic purposes that most 9mm are used for: the first is target/practice/competition, since the type of ammo used for all three of these uses typically uses FMJ bullets. The second purpose is for self-defense, where the JHP or other bullet types tend to be used. Here is where you can save some money. Usually, this FMJ ammo is purchased in 50-round boxes. Or, in order to lower the cost per round, cases or buckets of 500 or more can be ordered. Here is where the packaging of the two basic types of 9mm ammo varies- FMJ ammo is cheaper to make so it can be offered in quantity, while self-defense ammo tends to be more expensive and is sold (in some cases) in twenty-round boxes. 500-round bulk packs of JHP defense loads are also offered; it’s just that they are fairly expensive and are usually sold to law enforcement agencies and shooting clubs probably more than to individuals. When you consider bulk ammo, you may run into steel- or aluminum-cased ammo (brass is the norm). Should you buy this ammo? It will definitely have a lower cost-per-round, but is it OK to shoot in your gun? I’ve shot both types (steel- and aluminum-case) and really don’t see much difference. The thing to consider is that sometimes steel-cased ammo is coated with something to retard rust on the case in storage. This coating has, on occasion, caused sticky extraction. But for the most part, steel-cased ammo is OK to run in your 9mm. A reloading note: you CAN reload steel cases, as your dies are much harder than the steel case but a lot of foreign brass is Berdan-primed, which for me at least makes me throw it away instead of trying to reload it. I have reloaded very few steel cases, but it was mostly a stunt just to prove to myself that it could be done. And, aluminum cases for reloads? No. Stick with brass cases for reloading. Selecting ammo for training or practice is fairly simple. You simply need to decide what type of case you want (brass, if you want to reload it or steel/aluminum if not). Then you can figure out which way to go. Prices for FMJ ammo range from a little over 14¢ to around 20¢ per round. The cheaper ammo is usually Russian-made and will use a non-brass case with a Berdan primer. At least they’ve gotten to the point where the primers are non-corrosive and the rounds are pretty reliable. If you are wanting absolutely the greatest number of rounds per dollar, steel- or aluminum-cased ammo is the way to go. One of the best brands of practice ammo for the money is Magtech. Their 115-grain load comes in a box of 1000 rounds for about $170. This puts it at 17.3¢ per round, which isn’t bad for quality practice ammo. For a couple of bucks more, you can get 124-grain bullets instead of 115. You can, of course, buy it in smaller quantities such as 50-round boxes – I was just illustrating that the cost-per-round is cheaper if you buy in bulk. Magtech, a member of CBC Global Ammunition, makes all their own components. The ammo is manufactured in Brazil but the corporation is world-wide. For more information about this ammo, go here. Another good buy in 115-grain practice ammo is the Remington UMC. You can get 1,000 rounds for $170, which comes out to 17¢ per round. Made in Lonoke, Arkansas, the Remington round gets high marks for consistency and low cost. Remington is a name that many Americans are familiar with and trust. They bought out the U.M.C. ammunition company years ago, hence the usage of the “UMC” on the box. That moniker used to denote Remington’s second-quality-tier ammo, but not so much anymore. This is good stuff and is reliable. It is available in several different quantities, with the boxes of 50 most prevalent. But, buying online allows you to order in greater quantity without worrying if your local store still has it. The Remington is one round that is often purchased in bulk. Go here for more information about this ammo. If you’re looking for something with a little more oomph, Winchester makes a 124-grain NATO-spec cartridge that comes out to about 20¢ or so per round. You can get 500 rounds for $110, which really isn’t that bad for NATO-approved ammo. This ammo is made to pretty rigid specifications. You can see, in the chart below, that it is pushing 1200 fps with attendant higher energy. This would be a great practice round for a steels competition where you might need a little extra “push” to knock the target over. At least you’ll know you’ve fired a heavy-duty 9mm round! Check out this ammo here. So, we have three multi-hundred-round boxes of FMJ 9mm ammo that are decent buys. Of course, all are available in lesser quantities. I hesitate to try to narrow our choices down to just three because there are literally hundreds of different types of ammo in 9mm FMJ that we could look at, but as I said up front, I have to pick out what I feel are the best buys. We will look at some different brands as we explore self-defense ammo. The point is that, for a hundred bucks or a little more, you can have a decent quantity of top-rated ammo that will go “bang” every time and allow you to train, practice or compete without worrying about reliability. As we switch gears and begin our look at self-defense ammo, we have to remember that the more-complicated bullets used in this type of ammo cost more to produce, so the pricing will be different. Let’s see if we can find some good buys in self-defense ammo. The first JHP round I want to discuss is something new from Federal. It’s called Train + Protect and it is loaded with what is called a Versatile Hollow Point (VHP) that weighs 115 grains. It was introduced in 2017. The company, known for its many lines of excellent ammo for both handguns and long guns, has developed a load that is a bit less expensive than a lot of self-defense ammo out there. Using their proprietary VHP bullet, the round is touted as being more affordable, yet still very effective. That way, you can practice with it and also carry it for protection. That is the advantage of this ammo – you don’t need to buy expensive carry ammo and then turn around and buy “cheap” FMJ practice rounds. You also don’t have to re-adjust your sights for two different loads. The cost of the Train + Protect is deliberately kept on the low side in order for you to just have to buy one type of ammo. This way, you’re sure your gun will function with not only your practice ammo, but also with your carry ammo as well…which is the biggest advantage gained from shooting one type of ammo only. The price for a carton of 500 is $140, which equates to about 28¢ per round. The reviews are good so far. This might be a way to “have your cake and eat it, too” as you can carry the same ammo you practice with. For more information about this ammo, go here. It passed the F.B.I.’s strict penetration requirements while expanding very consistently. Its reputation for breaching intermediate barriers yet still expanding is well known…that is one reason why police agencies use it. Go here for more information about this cartridge. The Critical Defense round from Hornady has earned a good reputation as a reliable self-defense round. The nose of the hollow point bullet is filled with a flexible material that prevents the hollow point cavity from being plugged as it enters the target but yet aids the expansion factor of the bullet as it is pushed backwards. When the nose gets plugged with debris, sometimes that causes the bullet to behave like a solid-point projectile and just go straight through the target with little-to-no expansion. Expansion is controlled, so you get very good penetration, as well. This is a very popular round, and is packaged in 25-round boxes, but 250-round cartons are available. On a related note, Hornady’s Critical Duty 135-grain load was selected by the F.B.I. as a duty load. That’s quite an endorsement. Another interesting point if you are a female shooter or if you just like the color pink is that Hornady recently released a version of their Critical Defense round that uses a 100-grain bullet with a pink flex tip. It’s called Critical Defense Lite and is supposed to generate less recoil than its cousin Critical Defense rounds. For more information about the Critical defense round, go here. The gold Dot has been around for a while because it is very effective. According to sources, it is the #1 law enforcement 9mm round being sold. It was one of the first 9mm rounds to use a bonded hollow point bullet, coupled with superb penetration characteristics. The Gold Dot bullet is made by electrochemical plating, which covers a lead bullet and gives it a jacket. Speer then, unlike most other makers who drill the hollow point cavity in the bullet’s nose, runs the bullets through a series of dies to form the cavity. This results in a stronger bond and better performance. Being a 115-grain load, recoil is negligible but it still delivers in the energy department. Speer has been around a long time, and has earned the trust of law enforcement agencies. I can remember back in the 1980s how the Gold Dot was “the” trusted round for those new-fangled “wonder nines” that police agencies were adopting. The Gold Dot wasn’t the first bonded bullet, but it sure made a reputation for itself. A lot of police officers were skeptical when asked to switch from their proven .357 Magnum revolvers to a 9mm semiauto. With this ammo most of them gradually grew to accept the fact that, if they would have to shoot someone, the shooting would more than likely result in an incapacitated target. It has stood the test of time. This ammo is available in 50- or 1000-round quantities. To find out more, go here. Last but by no means least, let’s add the PDX-1 Defender round to our list. The only round on our list to use a heavier 147-grain bullet, the PDX-1 has certainly garnered a great reputation. Being one of three loads adopted by the F.B.I. as a duty/service load, the 147-grain load meets the tough protocols the F.B.I. imposes on its ammo. (The other two companies awarded contracts were Hornady and Federal’s parent company Vista Outdoors). The round employs a bonded bullet and nickel-plated cases for good terminal performance and reliable feeding, respectively. Another benefit of the PDX-1 is that it uses a low-flash powder formulation, a definite plus when shooting in reduced light. If you’ve ever shot in darkness or right at dusk, the flash can be disorienting. Imagine having to shoot in darkness or near-darkness at multiple assailants or someone shooting back – you get the point. 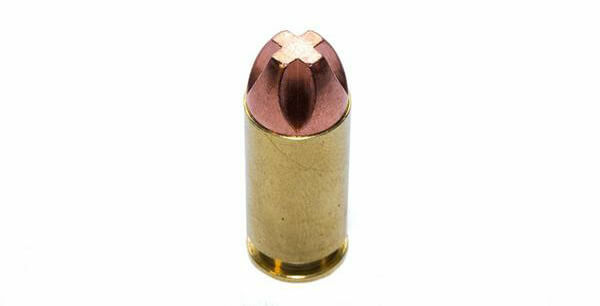 The PDX-1 is a great choice for a heavier 9mm bullet load. There’s something to be said about bullet weight and how it relates to momentum (discussed above). I certainly am no physicist, but I think the heavier-bullet-slower-speed school of thought has some merit. I remember back in the 1970s reading an article in a gun magazine that was touting the benefits of a large 265-grain .455-caliber bullet moving about 650 fps out of a British Webley revolver. The author was in favor of such an arrangement and compared it to trying to close a heavy safe door. He said that if you just hit it with your hand very fast (the fast-moving light bullet comparison), all you’ll do is hurt your hand as it bounces off the door but if you give it a slower, firm push, it’ll close and your hand won’t end up in a cast. (That would equate to the heavier, slower bullet, such as the 1000-fps-plus-or-minus 147 grain bullet in the PDX-1). As I said, I’m no expert in such things but it does seem to make sense. That could be one reason why this round is so popular. For more information about the Winchester PDX-1 round, go here. So… what do we learn from all this? Hopefully, you will now have some sort of idea about what ammo performs well for either a practice or self-defense purpose. Maybe now, you can make a decision to narrow down at least what ammo to try. There are literally hundreds of different 9mm loads out there that will work…I’ve just tried to pare it down a bit in terms of what others have had used to good purpose. If you are wanting to try any of this ammo, I suggest you buy the smallest-quantity box you can find and try it out. If it is reliable and accurate in your gun, then explore possibly buying it in larger quantities. The more you buy at once, the lower the price per round will be. I usually rely on the experts, the lawmen, ballisticians and sportsmen who have shot many more thousands of rounds than I have, to lead me in the right direction where ammo selection is concerned. These folks have access to laboratories, gel tests, pressure-measuring equipment, real-world law enforcement encounters, etc. I have shot most of these loads and they do tend to work. My goal here is to simply give you a place to start, as you seek the best 9mm ammo you can find for your gun. Please feel free to leave comments below as you share your experiences with different brand and type of 9mm ammo…I’m always up for something new! Or the Underwood’s 115 gr. Round. Would of been great to see how they did against the big name manufacturers. John, I would imagine that either of those rounds would do very well in tests, as real-world experience with them has proven. They are high-quality defense rounds with a good reputation. Thanks for the comment!